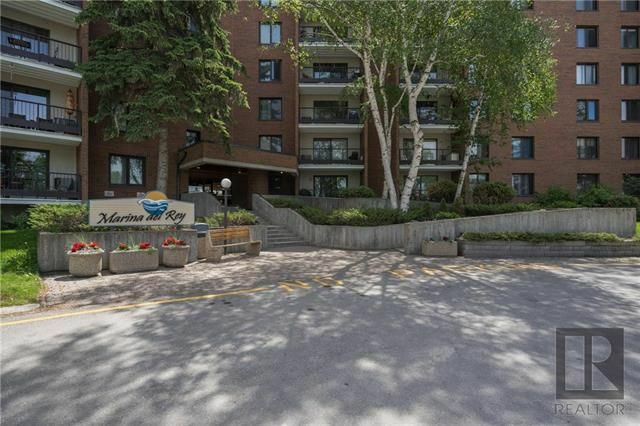 Spectacular RIVER VIEWS await you in this fabulous 2 bedroom, 2 bathroom condo located on Cloutier Drive. This lovely 1134sf home features updated bathrooms and crisp, clean white kitchen. Huge patio doors off of the living / dining room allow loads of light to flood this condo and welcome you to enjoy the serene landscape outside. The condo has hook ups for in-suite laundry, or laundry available across the hall, there are two parking spots included; one heated and underground, the other outside, additional storage space is available on every level, there is a fitness room, an elevator and a spacious party room on the main floor with tables, a full kitchen, bathrooms, and access to the pool area. Condo fees include heat, water, hydro and cable. This incredible condo is located very close to amenities and absolutely worth checking out in person. Call today to book an appointment. Seller is a licensed realtor.